This was one of the very first "true" blog posts written on this site that actually fit with the theme that was officially adopted around 2012 and continued to the end of the blog's original run. It involves the one of the coolest-sounding stores to ever grace the area, when Randall's, an upscale-leaning grocery chain from Houston opened a new "New Generation" store in College Station fairly close to the Texas A&M University campus. With construction underway by March 1991, and opening in fall of 1991 (see comments), it was the largest grocery store in the county (not like there was much competition) and definitely the largest one in College Station. It had, according to this article featured "a coffee department with a bar and stools, fresh-made juices, pizza from scratch, a full-line floral department, a full-service bank and a one-hour photo shop", and at 80k square feet (the size of the H-E-Bs now), it was a sight to behold. 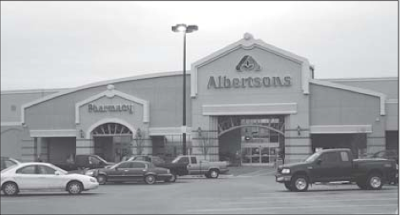 It was sold to Albertsons and eventually closed during a long, slow period of decline and contraction. While today Randalls and Albertsons are one (imagine that!) this store will remain shut due to some lease issues. Read more at my new blog, Safeway and Albertsons in Texas, which is where I moved this article. Over to the west side of the store is 607 University, a small strip center with about four or so stores. Besides Haiku Sushi & Hibachi Grill, which I remembered being here for a long time (don't know when since I never remembered the building as a Randall's), and became Kobe Steak & Sushi much later (around 2012--this new incarnation shut within months). Most of the places here were pretty forgettable: "TGF Precision Haircutters" was another that was later absorbed by A+ Tutoring. There was a little café near Albertsons called Tuscany's that had a several year stand in the 2000s (my records show it closed in early 2008). Proudly proclaiming that it was the only gelato in miles around (a fact) plus offering upscale-ish coffeehouse goods (coffee, tasty-looking bagel chips), it opened around 2004 with being an Internet café a defining feature (that and the gelato). Any number of factors could've caused its closure: it's possible it wasn't favored by students as a place to hang out (if they wanted any students--some places don't), it was hard to see from the road (invisible heading westbound), or maybe just gelato was a novelty that wore off quickly. A+ Tutoring is here currently, taking two places at the far end. They came in just before "The Martial Arts Studio", which replaced Tuscany's, moved to Homestead Place (the little shopping center on Texas Avenue, near the cemetery, where the library used to be, if you can remember back that far). A+ Tutoring gets really crowded on some nights, taking up a good half of the parking (which is great for them since all the other tenants had up and died). I recently found this awesome YouTube video of a Randall's opening in 1992 in Lufkin. While not in College Station, it gives a feel for what it was like, as the décor was probably identical and so on. 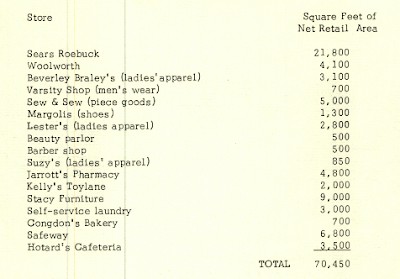 This was originally known as "Randalls/Albertsons", posted on the above date. A major update was completed on February 23, 2012, and another on May 17, 2013 with name changed from "The Last Albertsons and the Only Randall's"
10 23 2013 new video! 3-6-2014: changed the ending so it's a little uplifting, and added a new section with 607 University.